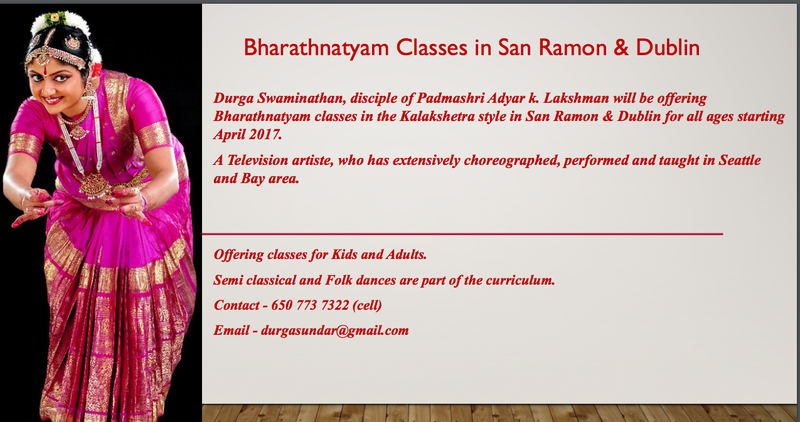 Durga Swaminathan, disciple of Padmashri Adyar k. Lakshman will be offering Bharathnatyam classes in the Kalakshetra style in San Ramon & Dublin for all ages starting April 2017.A Television artiste, who has extensively choreographed, performed and taught in Seattle and Bay area. Please contact Durga at durgasunda…@g…com/ 650 773 7322. Dheem Thara Dance School was founded in 2013 by Sangeetha Neelankavil in Pleasanton, California. She currently has a school of about 40 students, of varying ages and levels. 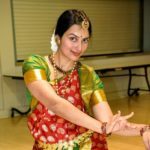 She focuses on unique choreography, technique, and abhinaya (dance expression) in order to help students deliver well-rounded performances. 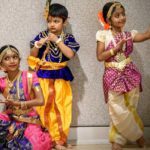 we offer Bharathanatyam classes, Indian semi classical dance classes (Fusion of Kuchipudi, Bharatnatyam, Mohiniyattam etc), Bollywood dance, Indian folk dances etc. 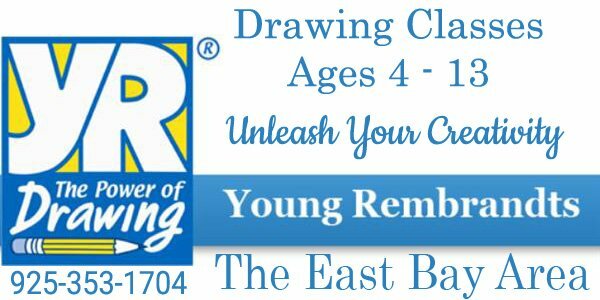 By involving her school in various ethnic events (Marathi Mandal, Telugu Saradaga O Sayantram, Hindi Diwali Dhamaka, Maya Bazar, FIA, Livermore Hindu Temple, Malayalam, Chinese and American), she seeks to further spread the joy of Indian culture among the Tri-Valley community. 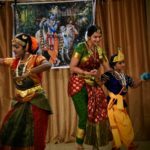 Bharathanatyam [Kalakshetra Bani Style] classes, Indian semi classical dance classes (Fusion of Kuchipudi, Bharathanatyam, Mohiniyattam etc), Bollywood dance choreography, Indian folk dances.